Sometimes it’s extremely useful to upload pictures & screenshots from your phone to Google Drive. Below I’ll go through the steps. Screenshots show my Android phone, but this works pretty much the same with an iPhone (or iPad). Download Google Drive App (Android | iPhone) to your phone. 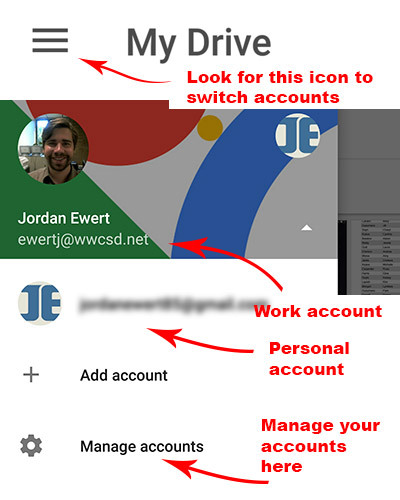 A very useful feature of the Google Drive App for your phone is the ability to easily toggle between your work / personal account with one click. Always make sure you’re in the right account. 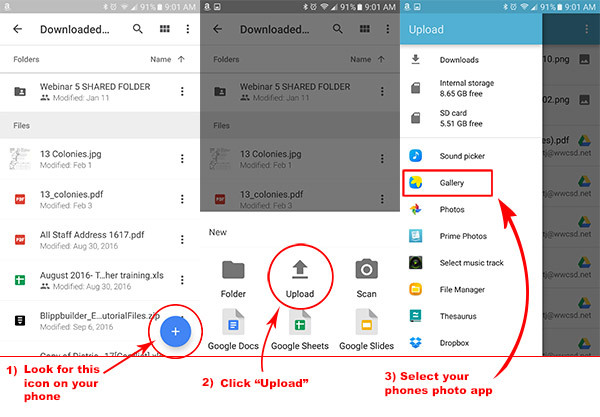 After you’ve uploaded your pictures, they will appear in your Google Drive from any device.